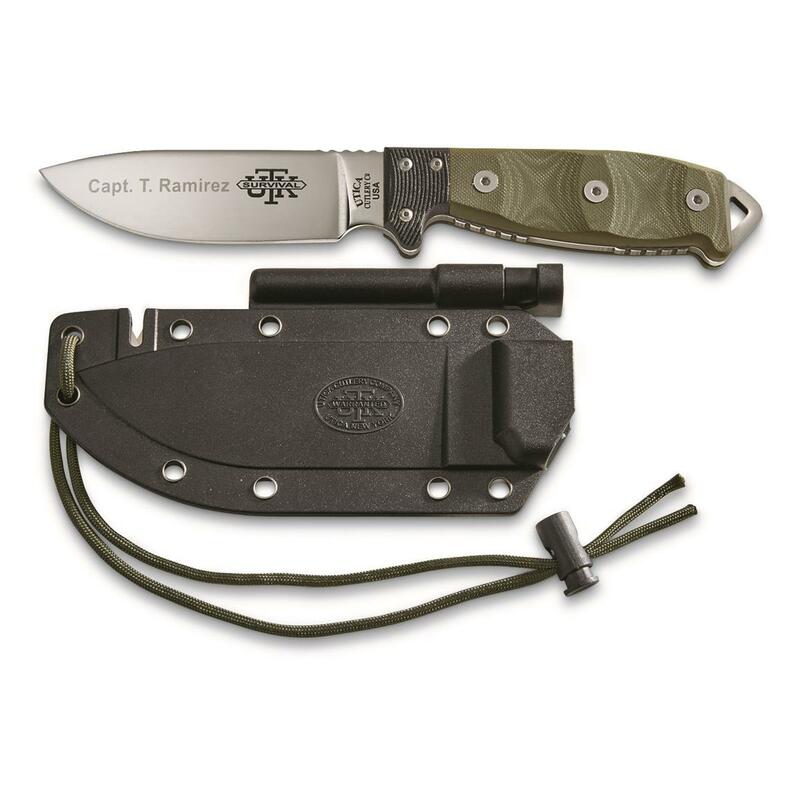 A blade you can trust in a pinch. 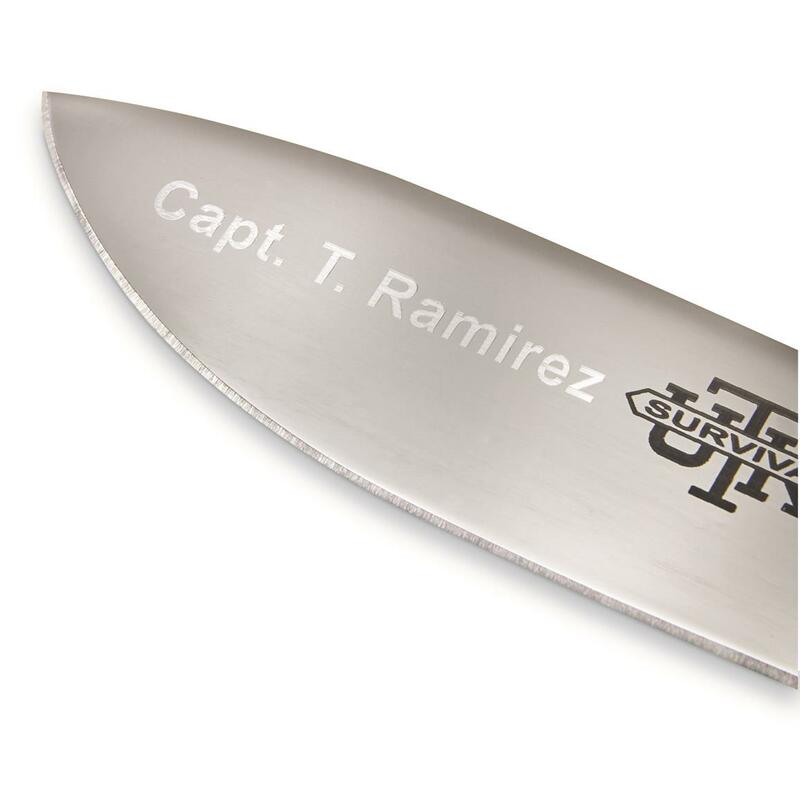 This Utica Survival Knife is ready to conquer unexpected challenges, from starting fires to building a temporary shelter for the night. 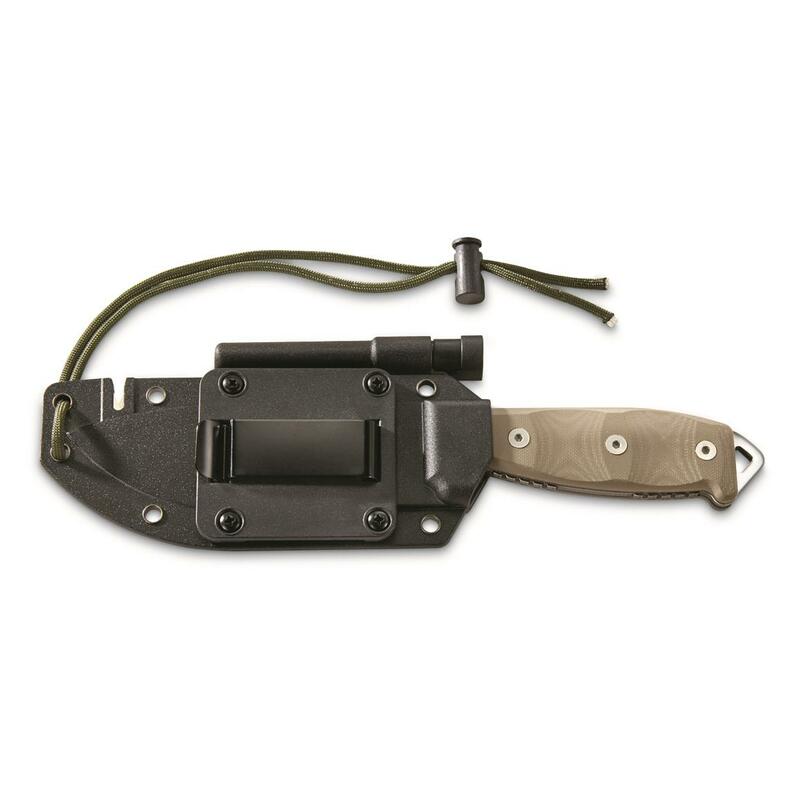 Sheath includes fire starter and knife sharpener, all in one. Ready to stow in your camping pack, emergency kit, or bug-out bag. Made in the USA by the Utica Cutlery Company, in business since 1910.